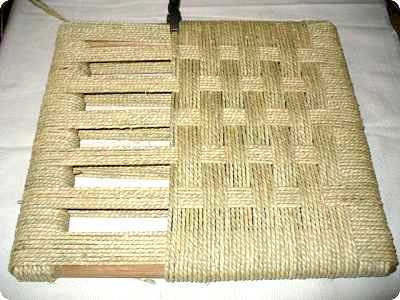 Always the straw plays a key role in the daily lives of rural populations. 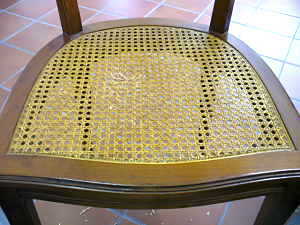 However, it remains difficult to determine the precise time when it began to be used for the chairs bill. 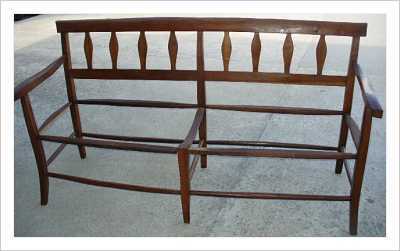 One could assume an appearance in France during the fourteenth century in Provence, a region that still has a vibrant tradition for these processes. 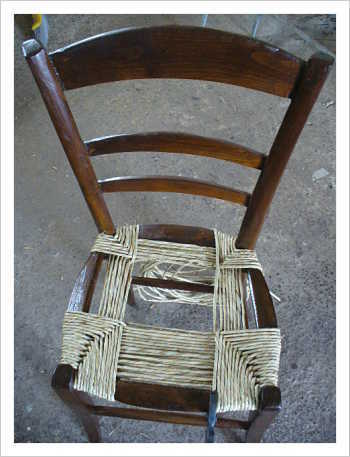 The stuffing has remained for a long time domestic activity, practiced by the farmers during the cold season, until a few craftsmen, specializzatisi in this technique, decided to join in the corporation in the eighteenth century. 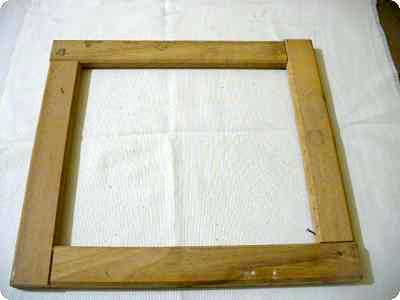 If in the homes of the bourgeoisie has always preferred to reserve the mending the kitchen cabinets, the Church always gave great importance to the straw. 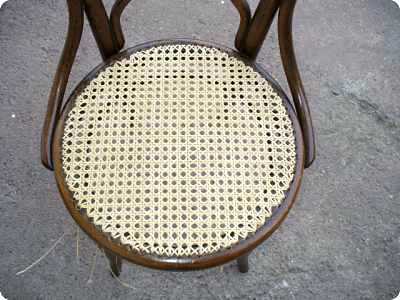 Even today, in our homes, the mending joins harmoniously with materials of all kinds. 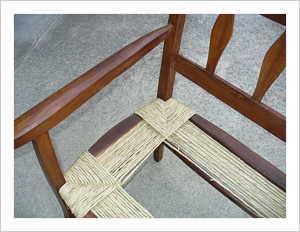 In the laboratories of the Past Furniture srl, craftsmen performing for years the stuffing of the chairs, using as primary material the marsh grass from blond-green color, which possesses a characteristic rustic look. 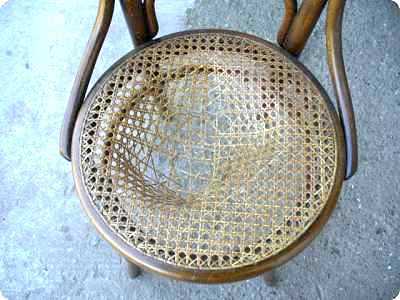 The reason is made in segments, which is the classic peasant of those chairs or kitchen. 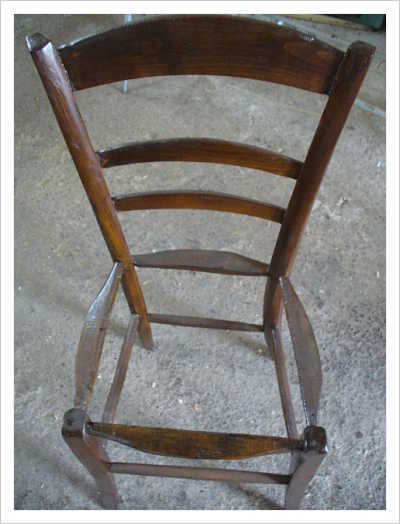 In case of very recent chairs, you may not need to call in our craftsmen, even when they have different frames of standard sizes, ready with new stuffing, to be applied to your chair with affordable rates starting from Euro 15,00 l 'one. 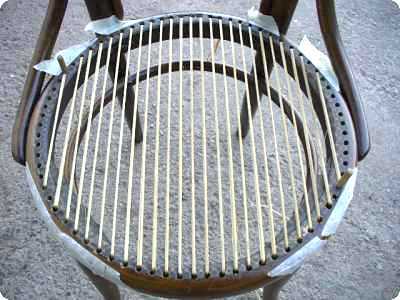 You can have an instant quotation for mending rebuilding of your chairs. 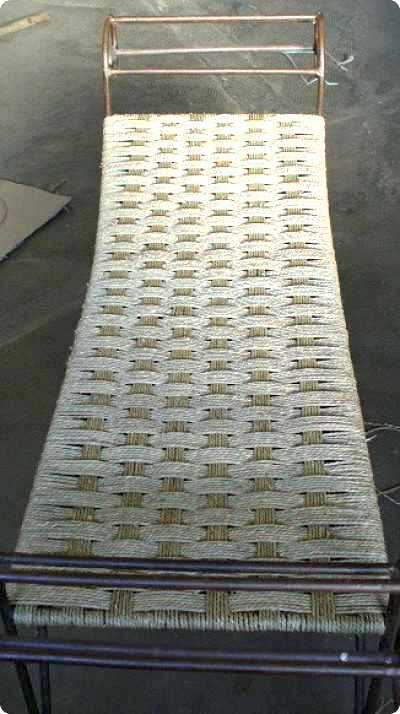 The lanyard is a rope made of marsh grass that is particularly well suited to perform more complex operations. 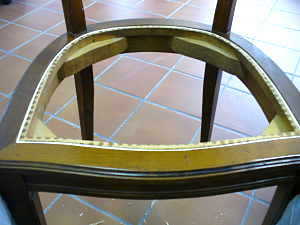 In the laboratories of the Past srl Furniture craftsmen performing for years the stuffing of the chairs, using the cord, to achieve the most usual sessions of squared shape, but also sessions with more specific reasons. 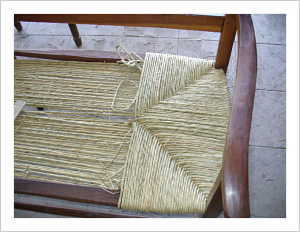 In the laboratories of the Past Furniture srl, craftsmen performing for years in Vienna straw stuffing, still following the classic technique of the plot to six stems, which offers a more durable result and aesthetically graceful. 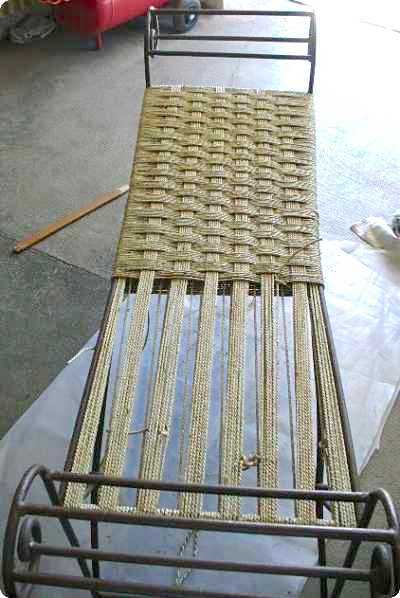 The long processing is carried out in the ancient four phases: the warp, the weft, the reinforcement and the closure. 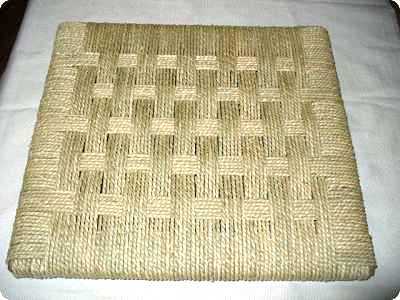 We choose the material personally to perform the Viennese straw stuffing, preferring only rattan first choice. In the early twentieth century, the emerging industry introduced in every sector of mechanization processes, to reduce the workforce. 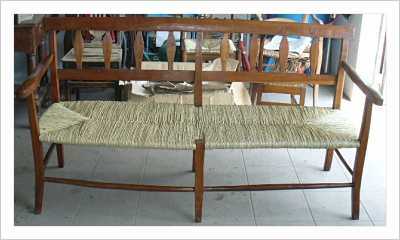 Since then appeared the cane woven by the meter on the market. 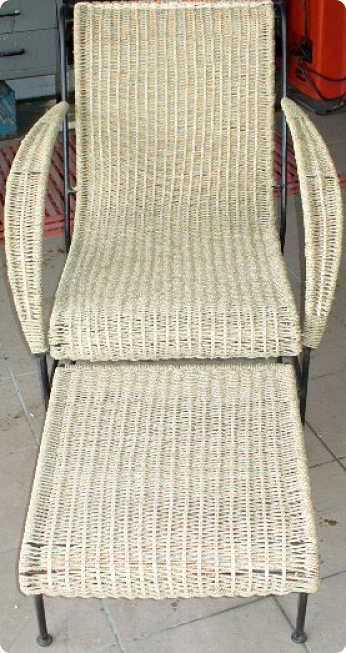 The chairs that exhibit this type of stuffing, however, have the particular characteristics that allow the laying. 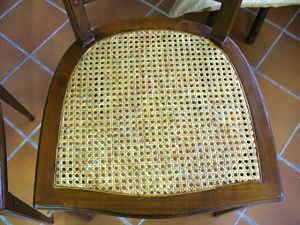 And 'therefore impossible to use the woven cane per meter, to restore the old sessions. 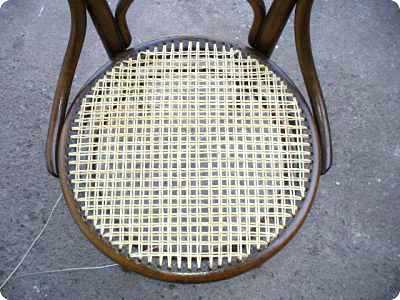 In the laboratories of the past srl Furniture They are already being used rattan rolls of fabric in the classical six cane stalks, preferring only material of first choice. 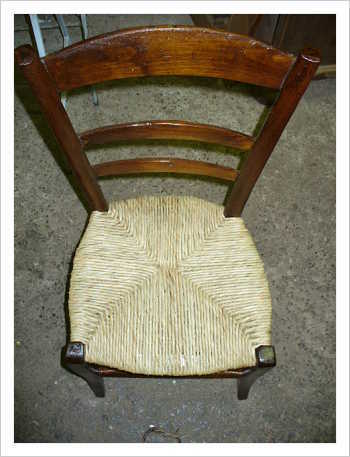 The light Chiavari Chair called simply Chiavarina, born at the beginning of the nineteenth century, from the hands of Gaetano Descalzi, skillful and clever craftsman, cabinetmaker and chair maker, which contributed to craft appreciation, gaining widespread acclaim abroad, the to be nicknamed Prince Cabinetmaker. 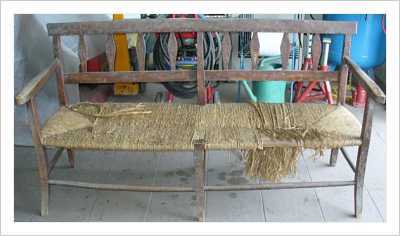 The Chiavarina originally had a backrest to crosse, the turned front legs, the rear saber and especially a seat made with thin strips of willow. 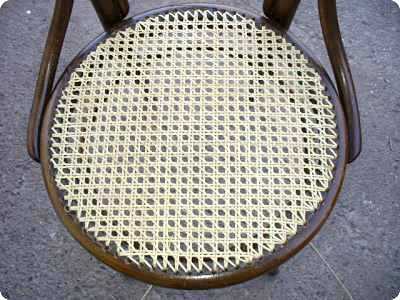 The net effect was that of an extreme lightness, harmony, elegance, but also solid strength. 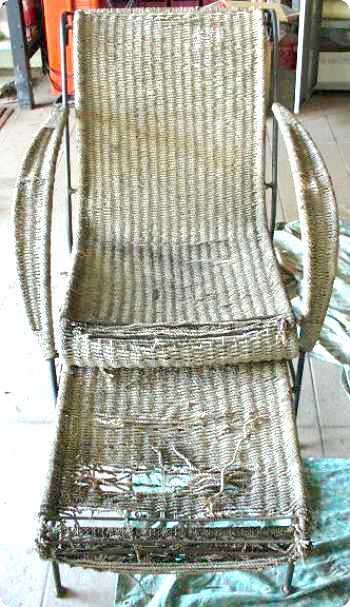 The old stuffing, made with extruded willow bark, was soon abandoned and replaced by the draw-rattan, much more durable and easy to find. 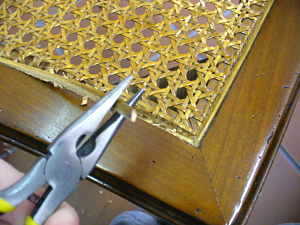 In the laboratories of the Past srl Furniture the mending of Chiavarina seats is carried out, following the steps of the old plot and using only rattan first choice. 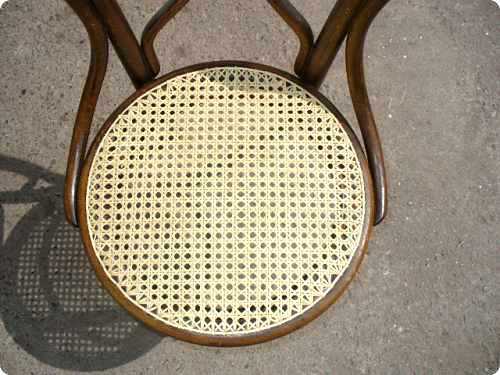 Can you have an instant makeover quote stuffing your chiavarine chairs.